The last time David and I took a long vacation was in July of 2009 when we went to New Mexico to visit his parents. We were there for about a week and had a blast. Our first flock of baby chicks arrived in August of 2009 and we have not been on a long vacation ever since! It's really hard to get away because if we are gone overnight we have to arrange for someone to take care of our menagerie of animals. The solution - day trips! These tend to work out better for us anyway because it can be a spontaneous thing, requires no time off from work, and of course is way cheaper. This weekend I was feeling a little adventurous and wanted to do some exploring. David and I hadn't been to Bollinger Mill since we were kids, so I thought it would be fun to check it out again. It's just a short 30 minute drive from our place, so it was a great afternoon getaway. Inside the mill, there are a lot of great displays featuring old equipment. I loved these old grain bags and the huge grain cart! To me, the best feature is the covered bridge next to the mill - it's one of only four remaining covered bridges in the state. Taken through a hole in the wood from inside the bridge. If you want to, you can go down and take a dip in the water. After seeing this, though, I decided I'd stay on dry land. Unacceptable bacteria levels? No, thank you! 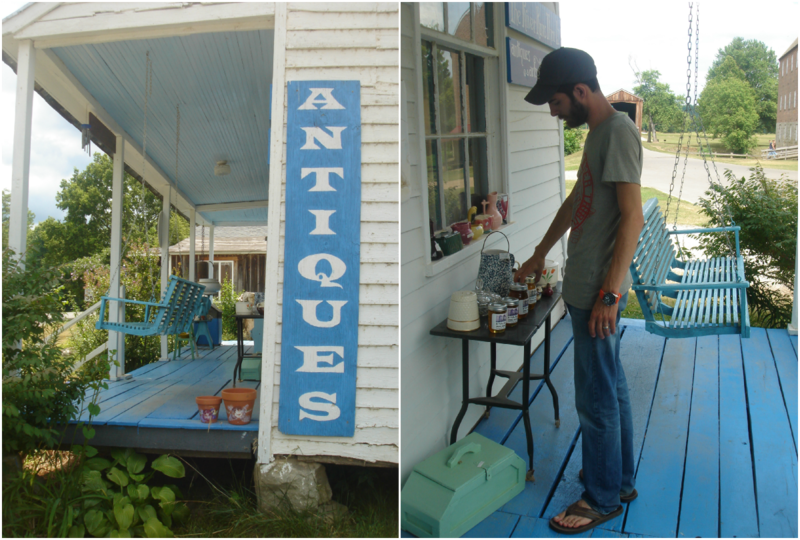 After checking out all the mill had to offer, we went to the cutest little antique shop just up the road. I got an adorable chicken platter and David got a game called Dragonriders. So predictable, I know! He couldn't wait until we got home to check it out! I also found the most perfect piece of furniture ever. I want to put it in the bathroom for storage, so we took the measurements and are trying to figure out if it will work. I'm so obsessed with it! So obsessed, in fact, that I'm not going to describe it or post a picture for fear that someone else will swipe it! If you've never been to Bollinger Mill or haven't been since you were a kid, you should definitely check it out. It's worth the drive! I'll have to check out this place, neato! Not sure if Andy's been there before, but either way it does look like a great place for a date afternoon....picnic! I really, really like the photo you took through the hole, great idea and the result is really pretty. It would be a great date afternoon for you guys! I love how the picture through the hole turned out, too! Can we go there on June 21st? I've always wanted to go there, but I never got to go. We will have our truck, so we can pick up that piece of furniture that you wanted, and get me something to while we're there. Ooooh, that sounds like a plan! First of all, you guys aren't supposed to go anywhere without us. 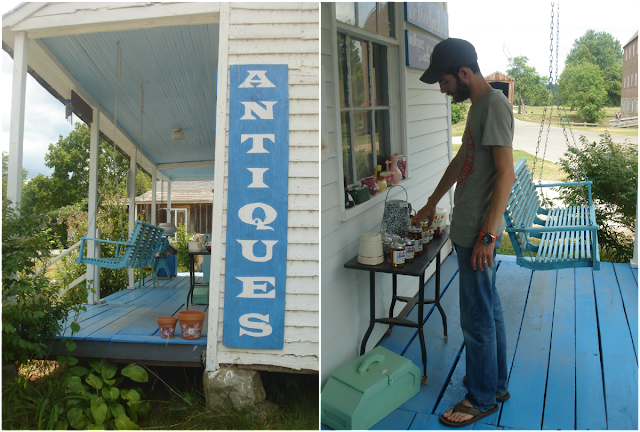 (kidding) Second of all, I expect for you to share the name of this antique store once you pick up your piece. Especially if they have awesome furniture. Haha! We will take you guys there! They had some cool pieces at that antique store so I think you'd like it. AWWW thank you so much for sweet words on my blog:)and Im following to.